Mr Bookworm and Theatre Mouse introduced me to Neil Gaiman about 7 years ago. Since then, I have become a massive fan of Gaiman’s work and, as there has been such hype about the TV series of ‘American Gods’ (how can there not be when Lovejoy is in it? ), I thought I had best read the book first. This is a rule I have: try to read the book before I see any kind of adaptation. I think this is the longest Neil Gaiman book I have read and it seemed to take me a while to get through it. Not due to lack of enjoyment, but due to real life getting in the way. I was, in fact, hooked from the moment I picked up this title – it does have quite a dramatic start and I constantly tried to sneak in a few pages wherever and whenever I could since then. I was fascinated about Shadow and his story and the mysterious Mr Wednesday from the word go, and you just get more drawn in as you are introduced to the vast array of colourful characters throughout the novel. You just want to keep turning the pages, as you’re always keen to find out what is going to happen next. It does take some concentration to keep up with the tale as it marches towards the conclusion, but that does not take away from the enjoyment of the book. It is extremely clever storytelling when even the smallest incident turns out to have quite an impact on the story. So much is revisited that you wonder if you should have given each event more of your attention as it happened – which is something great that you’ll often find in Neil Gaiman’s stories. The research and detail that has been put into this book to intertwine all the gods and folkloric figures from around the world as they converge in America (as so many different cultures have done) is commendable, and has left me with a desire to find out more about a number of them. 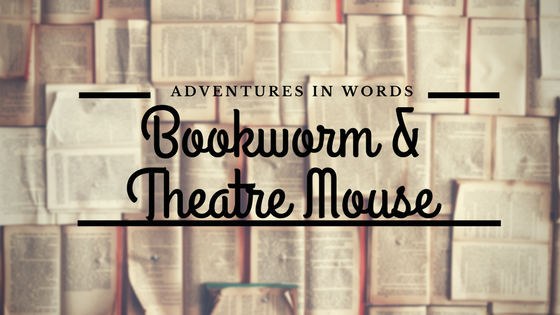 Mr Bookworm and Theatre Mouse was quizzing me on if I had worked out who they all were, but I am happy to find out as I go rather then predict. This book was a brilliant read and overall, for me, it has left me thinking about ‘Shadow’ and shadows: do we always know what is going on or what is going to happen? Do we need to be in the spotlight, or should we be looking at the magic of the shadows?